Jurnal Kebijakan Perikanan Indonesia have p-ISSN 1979-6366; e-ISSN 2502-6550 with RISTEKDIKTI Accreditation Number:21/E/KPT/2018, 9 July 2018. 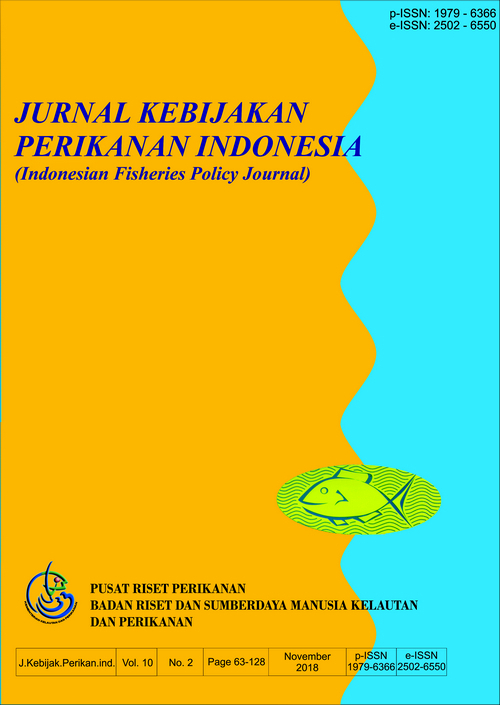 First published in 2009 with the frequency of publication of this journal twice a year in May and November. 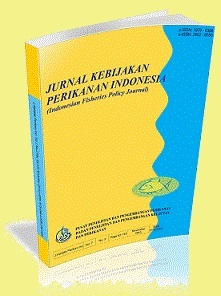 Manuscript submitted in Indonesian Fisheries Policy Journal will be checked in term of writing guideline. When it is appropriate the manuscript will be reviewed by two Evaluators designated by the Chairman of the Editorial Board. Received manuscript will be examined for the plagiation element using Google Scholar network. Indexed by Cross Ref, Scilit, Sherpa/Romeo, Indonesian Scientific Journal Database (ISJD), Google Scholar, Directory Open Access Journals (DOAJ), One Search Lancaster University, BASE, Mendeley and Science and Technology Index (SINTA) and Garuda.